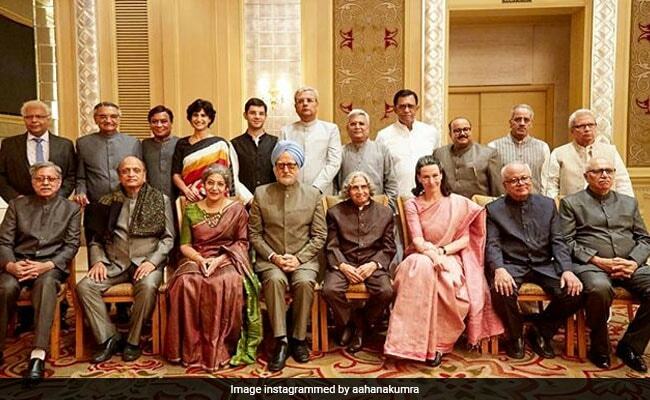 New Delhi: The Delhi High Court on Monday disposed off a plea seeking a ban on the trailer of the movie “The Accidental Prime Minister”, saying it should be refiled at a public suit. Justice Vibhu Bakhru observed that the petitioner, Pooja Mahajan, a Delhi-based fashion designer, has no personal interest in the matter should refile it as PIL. The plea, filed by Ms Mahajan through her counsel Arun Maitri, said the trailer violated Section 416 of the Indian Penal Code as impersonation of a living character or living persons is not permissible in law. Actors Anupam Kher and Akshaye Khanna play Manmohan Singh and Mr Baru in the film, slated to release on Friday. Advocate Maitri said the film’s producers have not taken any consent from Manmohan Singh, Congress President Rahul Gandhi and his mother Sonia Gandhi to perform their characters or perform their political life or to dress up in the same way as they had been doing in their normal life or copy their voice in any manner. As per Central Board of Film Certification (CBFC) guidelines on films based on real-life characters, a ‘no objection certificate (NOC)’ is required, but for the trailer, no such NOC was obtained, the petitioner said. In the plea, Ms Mahajan has requested the court to issue direction to the Centre, Google, YouTube and CBFC to take steps to stop the exhibition and display of the trailer.